m.com subjects in gndu - There are 4 semester in the 2 year of m.com master degree.Each semesters has their 6 to 8 subjects. every subject has maximum marks 100. 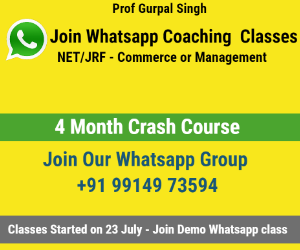 There is good course structure under gndu amritsar. Every subject cover the every topic of commerce and finance field. Here is full detail of mcom subjects. ​Note: Any one of the following groups, each having three papers. These are the Full detail of m.com subjects in gndu. commerce study notes are also available. you can submit request request for the commerce topic if you want. we are happy to help you.